After a month the whole paddock went from the Sunshine State to the sunny Lone Star State. 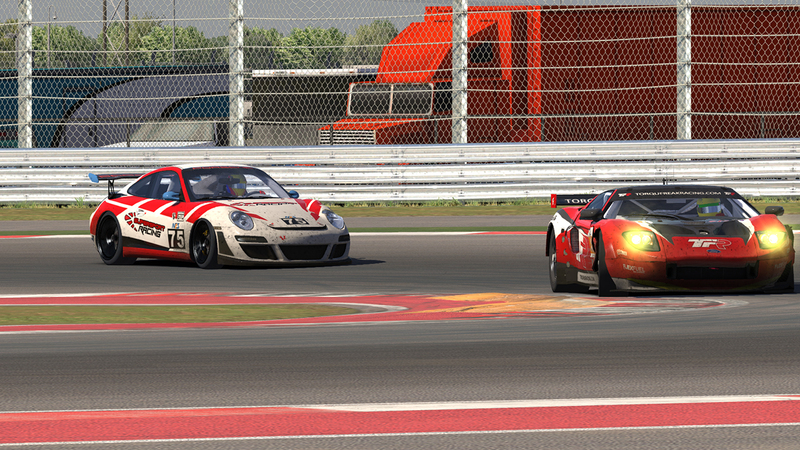 Round two of the NEO Endurance Series was held at Circuit of the Americas in Austin (TX). During free practice sessions on Friday and Saturday it became clear this will be a tough race for all classes. COTA is a very technical track. Although the track itself is very wide with a lot of run off areas, the racing line is very narrow. It was Coanda Simsport who had pole position, but Radicals Online took the lead early in the race. Radicals Online dominated the first half of the race. At the halfway mark they switched positions with Coanda Simsport multiple times. With one hour to go Radicals Online had contact coming out of the pits, which resulted in major damage to their car and their first DNF of the season. 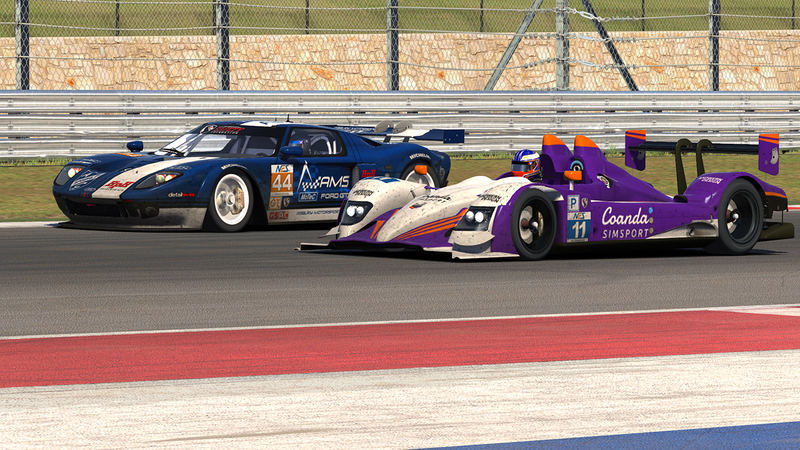 Coanda Simsport took over the lead and the checkered flag after 6 hours. Friction Racing could finish second relatively easy. 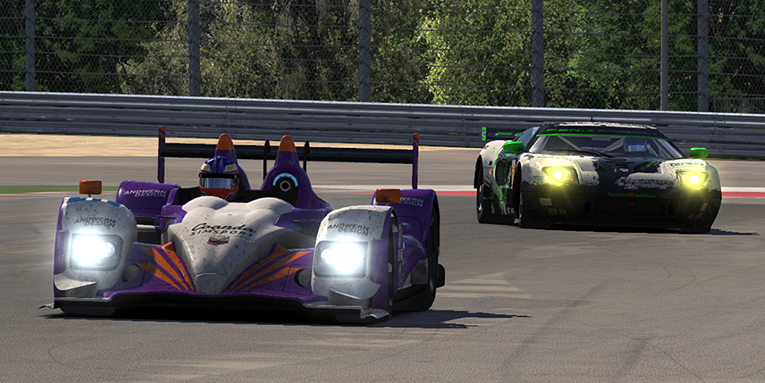 Twisted Apex Racing managed to finish third after a battle with Fenix Motorsports, who finished fourth. Team Chimera number 24 had troubles in the beginning, but fought their way back in the top five at the checkered flag. Racing Lions took sixth place, after some minor contact but managed to get the car to the finish. KRT Motorsport finished one lap behind Racing Lions in seventh. Kroenert Motorsport took eighth position and Apex Racing TV finished ninth. Radicals Online is still classified because they completed 70% of the distance, so they will finish the top ten of the P class. The GT class was filled with exciting battles throughout the whole race and nothing was certain until the checkered flag was waved. After six hours of racing it was Fenix Motorsports 64 who took the victory after New World Sim Sport blew their engine 20 minutes before the end. The battle for second place was decided at the checkered flag as iRacing Denmark Assault Racing managed to keep Apex Racing UK behind them for second spot. Apex Racing UK took the final spot on the podium. Friction Racing car 69 finished fourth. Two laps down a battle for fifth position was strong towards the end. Asbury Motorsports won this battle and finished fifth. Racing Lions GT could gain some positions with solid laps at the end and took sixth position. Torque Freak Racing car 41 came home in seventh. Radical Racing UK and REVS Simracing both had tough races, but still managed to bring the car home in eighth and ninth position. Like Radicals Online, New World Sim Sport still managed to finish tenth. In GTC class the race was won by SuperSport Racing. Due to logistic problems they could not race at Sebring. Throughout the race SuperSport Racing worked their way up to the top after starting eighth. 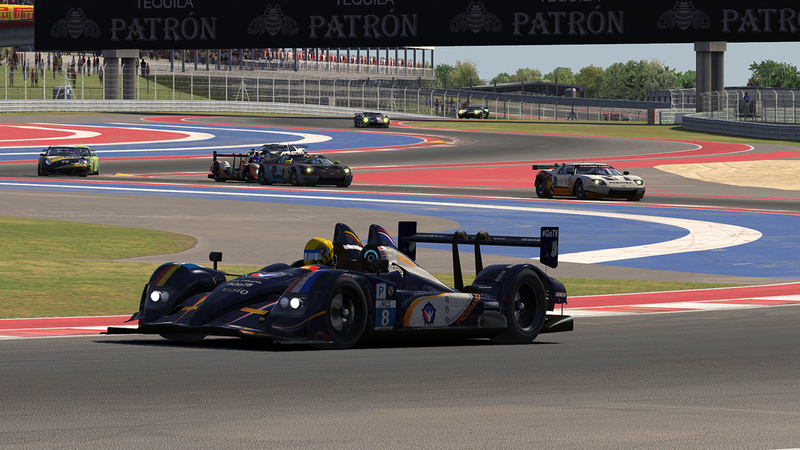 Team Chimera bounced back after a tough Sebring race, and the car 87 had a solid race at COTA and finished second. The green RUF of the Dart Frogs took their second podium of the season and finished third. With this podium finish, the Dart Frogs took over the lead in the championship. Not far behind the both it is SRN Motorsports in fourth. In fifth position it is IRDK Endurance who after finding them selves dead last after two hours fought back. 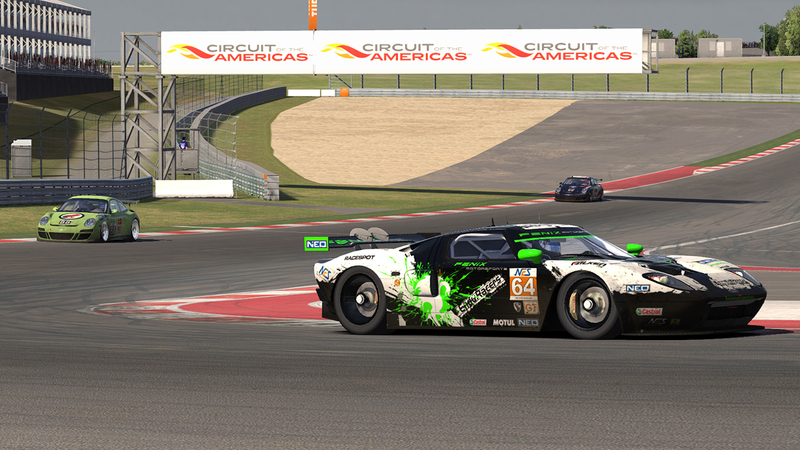 Slipstream Racing finished sixth after a great battle at the end of the race with KRT GT Motorsport, who finished sixth. Their battle can be seen on YouTube from the cockpit of Slipstream Racing. Before the race it was expected Vergil Racing would dominate this class again, but in the beginning of the race they had troubles and had to fight their way up from dead last midway. Eighth was the best they could possibly do. Vergil Racing wants to redeem themselves at Spa. Apex Racing UK finished ninth after yet another disappointing and unfortunate race and Gathering of Tweakers 3 finishes up the top 10. Full results can be found at this page. The next race of the NEO Endurance Series is on January 18th at Circuit de Spa-Francorchamps. The race of six hours begins at 14:00 GMT live on Racespot TV. For more information, visit neo-endurance.com and for the replay of the race take a look at the race archive. The standings of the NES are also available on the website.